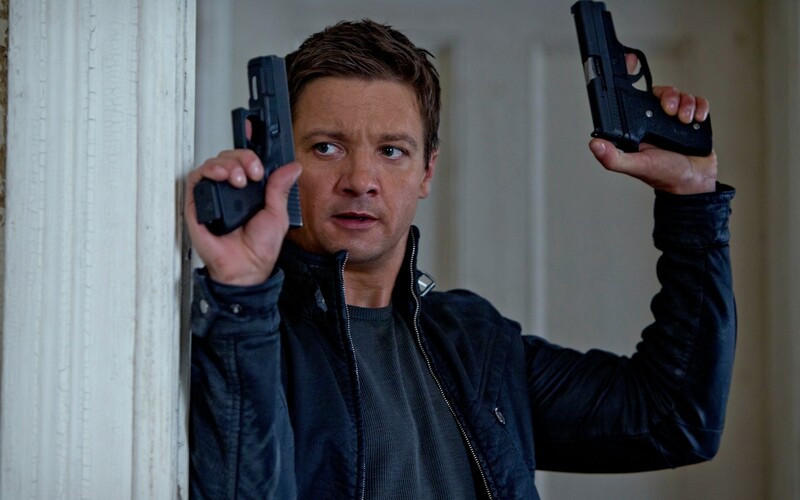 Jeremy Renner will return to the big screen again as Aaron Cross, in the Bourne Legacy sequel. Universal has confirmed the 2015 release date and will open in the US on 14 August 2015. It seems that Universal are going to be putting another epic film into 2015, which already has a massive collection of blockbuster movies to blow our minds. It’s going to be the most action packed, competitive blockbuster summer ever! The sequel will be directed by Justin Lin, along with the script being written by Anthony Peckham, who is currently working hard to get it finished. There hasn’t been a mention of a plot-line for the movie yet, but we are assuming it will continue from where it left off. Will Matt Damon return as Jason Bourne in this sequel though? Were not sure, only time can tell. Download FREE The Silver Screen Critic App Now! To make it a whole lot easier for you to read this site on the move, we have made it simpler! Now all you have to do is download the app! The layout of the app is pretty much the same as the site, but it will be quicker for you to find out more movie news, reviews, facts, mistakes, quotes, and trailers! That’s it! You can now keep up to date with everything we post! Thanks for checking out the app! 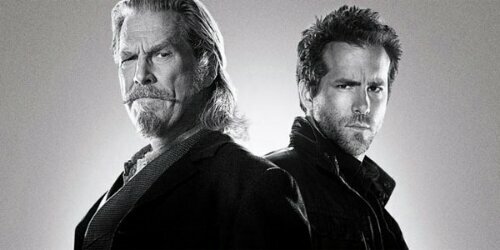 Jeff Bridges Disappointed By Final Cut Of R.I.P.D. After having a great time on the set, shooting the film, Jeff Bridges was not very impressed by the final cut of the movie. With the movie coming out tomorrow, we have yet to see what Universal have done to what we think was an awesome plotline for a movie. Hopefully we will not be crushed by our own disappointment as it’s one of the films that was on our must see list. 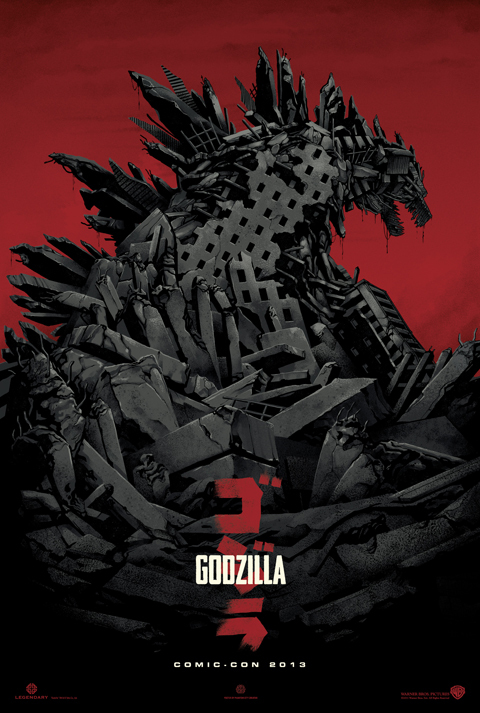 This poster is a little more mysterious than the last and shows what at first would look like rubble from a natural disaster, but at closer looks is actually a hidden image of the monster himself. It has been said that at the San Diego Comic Con, they will be revealing some footage, so if you are anywhere near Comic Con, or if you are going, make sure you don’t miss it! 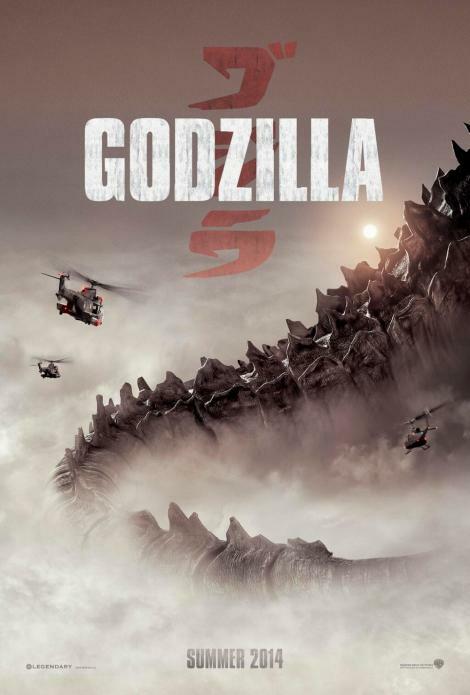 The movie poster for Gareth Edwards’ Gozilla has been made public. Talk about a massive creature…one made from a bomb so atomic that it devastated Hiroshima. This is only the tail of the beast, so how big would the entire monster be? Check it out for yourself below! A new viral marketing xampaign was launched, for the new Gareth Edwards’ Godzilla film, sparking a ton of media gossip. Posts were submitted to the site at first, as if they were true encounters with unknown phenomenon such as “black icebergs” in the ocean and so on. Other posts then came about historic events which lead up to the movie’s monster arrival. 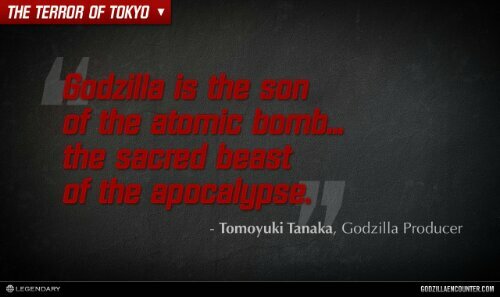 Events such as the Atomic Bomb over Hiroshima being one of them, throwing out there the idea that Godzilla is “the son of the Atomic Bomb”. So, if you want to check out the Godzilla Encounter site for yourself, click the link below. Co-starring Aaron Taylor-Johnson, Bryan Cranston and Elizabeth Olsen. Godzilla will open in the US and UK on 16 May 2014.